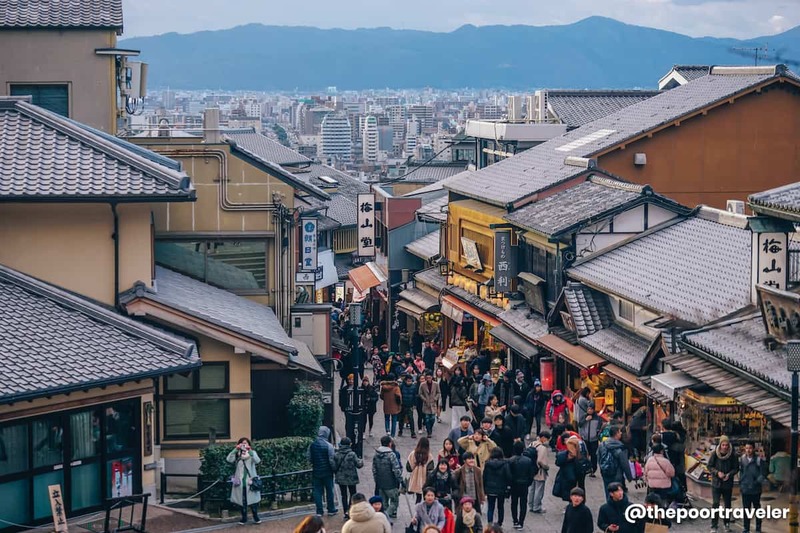 Despite being worlds apart in terms of what it has to offer to tourists, Kyoto often goes with Osaka, like yin and yang, bread and butter, and RuPaul and Michelle Visage (LOL). Sure, you can always enjoy just one, but it feels oddly incomplete without the other. Yet, they often sit on either end of the spectrum. Osaka is a city that appears to look forward to the future; Kyoto seems to bask in its glorious past. 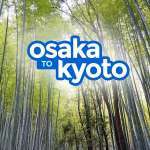 Osaka is bustling and electric; Kyoto is charming and rustic. Regardless of their differences, the two are well-connected in many ways. 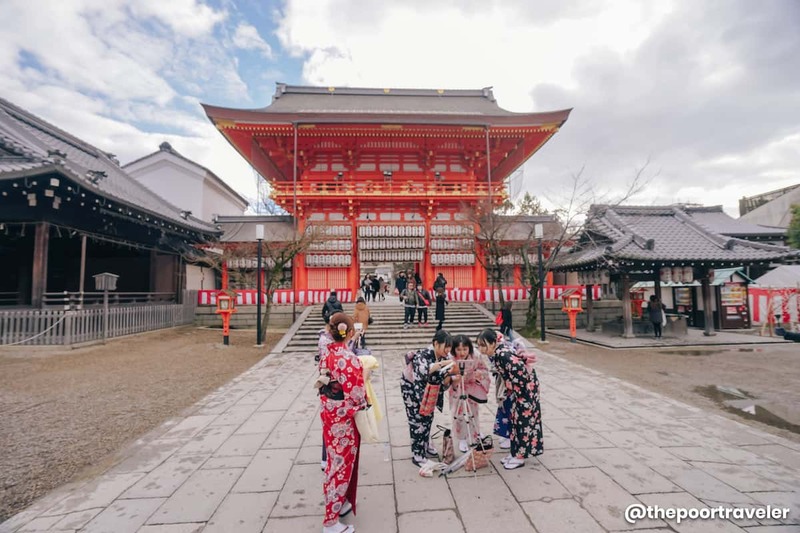 Most tourists flying to Osaka often find themselves in Kyoto at one point on their trip because not only do they complement each other, they are also easily accessible from each other. 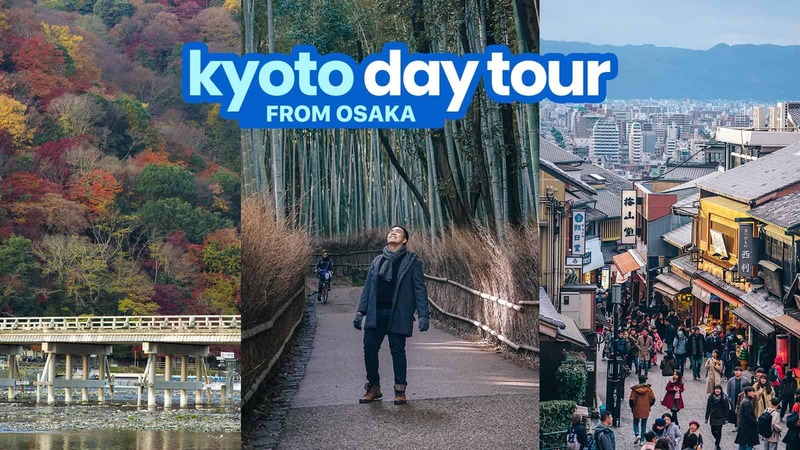 If, for whatever reason, you only have a day to explore Kyoto and you’re staying in Osaka, you’ll be glad that it can be done easily. Kyoto has A LOT to offer to curious tourists.  Hence, when building an itinerary, there is infinite possibilities. In this post, however, we’ll take you to some of the most scenic and most culturally significant sites in the city. 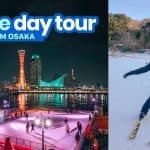 If you wish to follow this itinerary, we highly recommend that you purchase a Hankyu Tourist Pass. This pass will allow you to freely board trains on any Hankyu Railway line (except (except Kobe Kosoku Line). It is only available to foreign travelers so you will need your passport to secure a pass. Part of the Hankyu network is Kyoto, which means you can easily travel to and around Kyoto using this pass. You don’t need to buy individual tickets every time you use the train. All you need to do is insert the pass in the designated slot at the gates and you can already ride the train to any Hankyu station. The pass comes in two variants: 1-Day, which normally costs ¥800, and 2-Day, which costs ¥1400. But currently, there is a promo that cuts the price of the 1-Day or 2-Day Pass for only ¥700 and ¥1200 respectively. That’s a big deal! 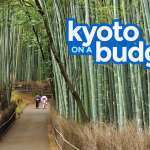 Typically, a roundtrip ticket to Kyoto alone costs ¥800. 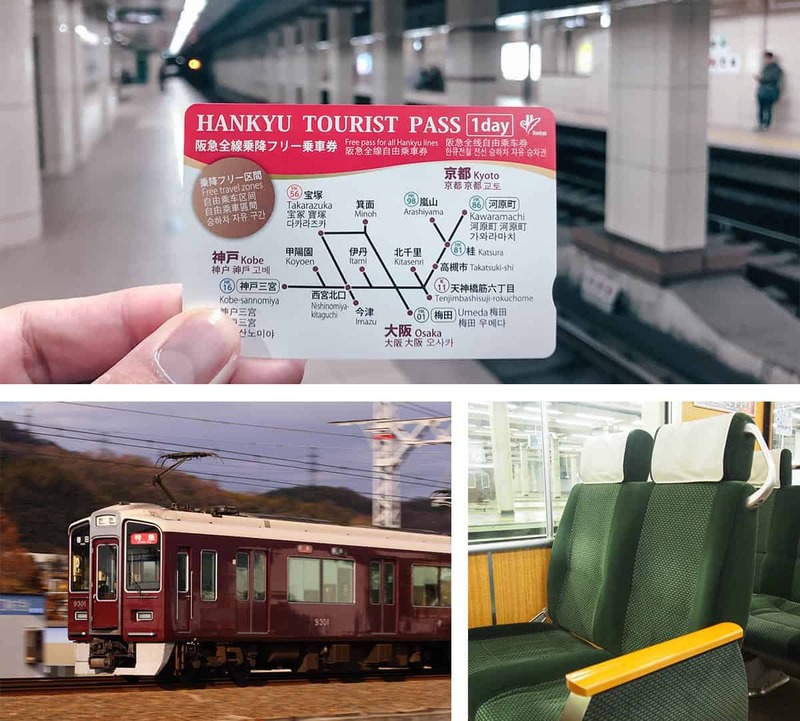 The Hankyu Tourist Pass covers that already, which means the cost of all the other rides you make become part of your savings! But you can also purchase online via Klook! ✅ GET YOUR HANKYU TOURIST PASS HERE! 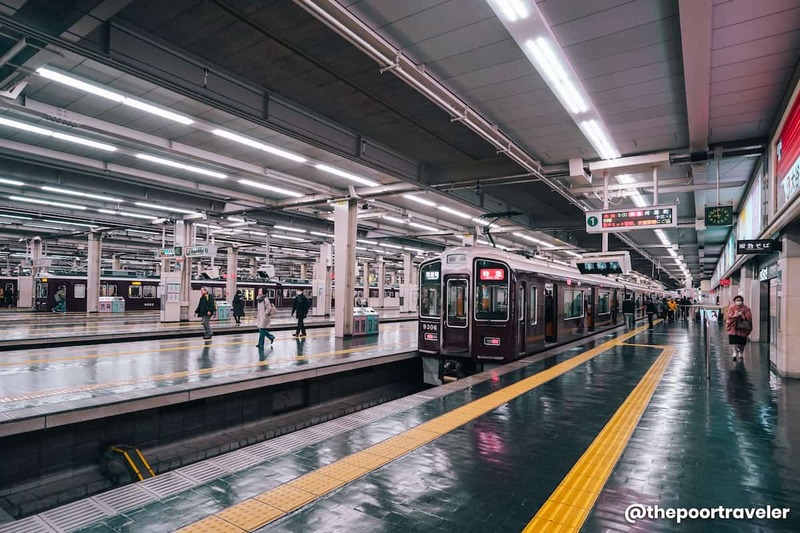 Now that you have a Hankyu Tourist Pass, the first thing you should do is to make your way to the nearest Hankyu Station. If you’re staying in Umeda area, you can travel on foot to Hankyu Umeda Station (HK 01). 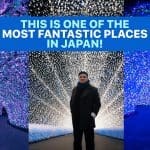 It’s also a great place to begin your journey because there is a tourist information center here, where you can ask the staff for advice, grab a brochure, or even purchase the Hankyu Tourist Pass. This is the start point and terminus of many lines so make sure you take the Hankyu Kyoto Main Line. 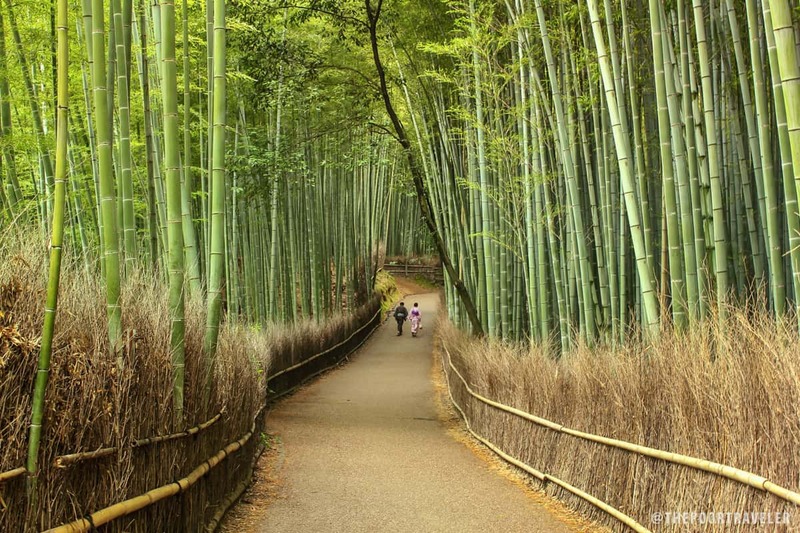 From here, your first stop would be Arashiyama. 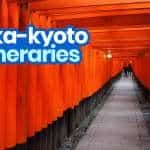 To get there, you will need to take the Hankyu Kyoto Main Line to Katsura Station (HK 81) then transfer to Hankyu Arashiyama Line to Hankyu Arashiyama Station (HK 98). Travel time: around 50 minutes. Fare: ¥400 without the pass; FREE with the pass. On the map of Kyoto’s Arashiyama district, if you put a red dot on every picturesque spot, you’ll end up with a very red map. 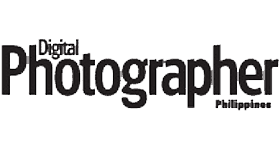 Throughout the area, over a dozen places of interest can be found, from temples to shrines to gardens. 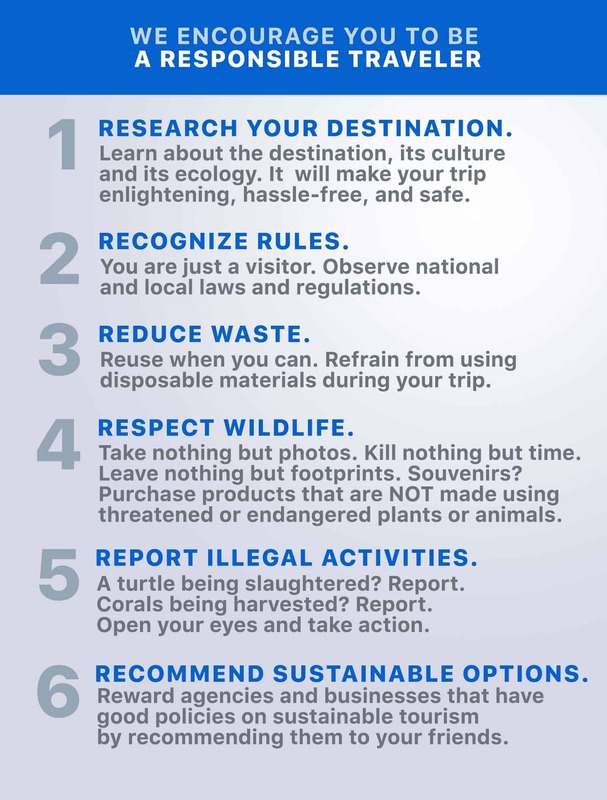 Here are some of the spots you don’t want to miss. Note: You don’t have to see ALL these. Just choose the ones that appeal to you. 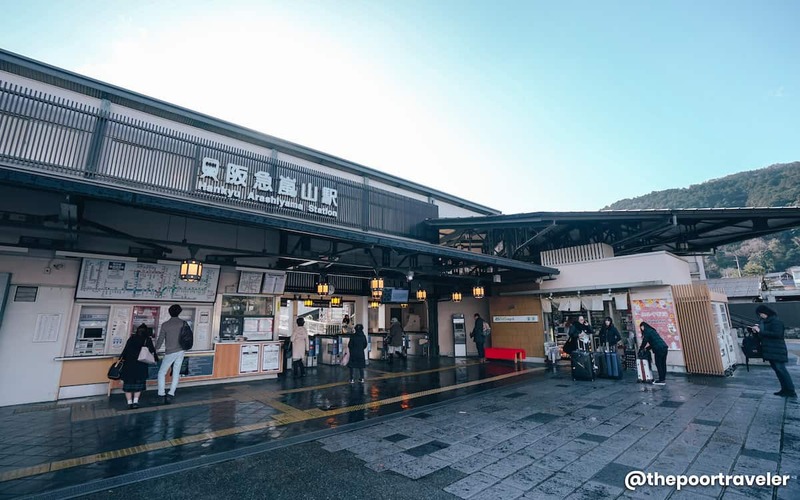 As soon as you emerge from the Hankyu Arashiyama Station, you’ll be greeted by a great view of the place. If you keep on walking, you’ll hit a road. 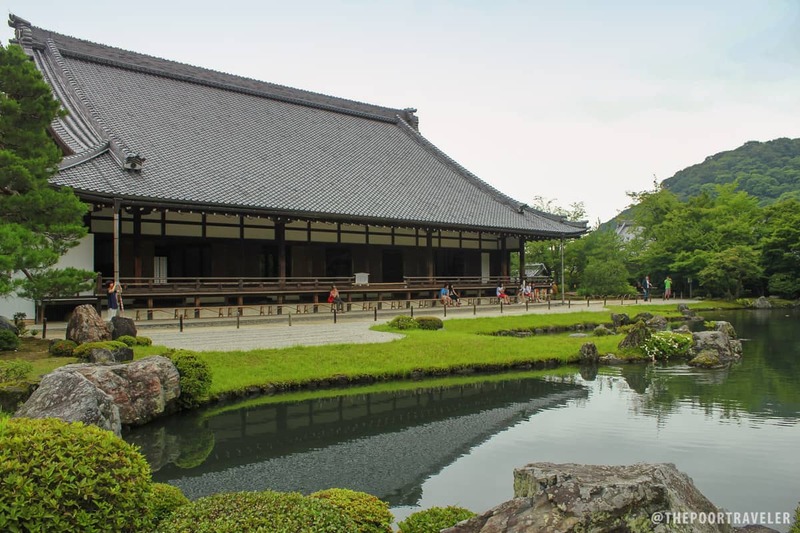 If you turn left, you’ll find Horinji Temple, one of the five head Shingon Buddhist temples in Kyoto, which, according to legend, was built by monk Gyoki in 713 under the command of Emperor Genmei. Admission Fee: FREE. 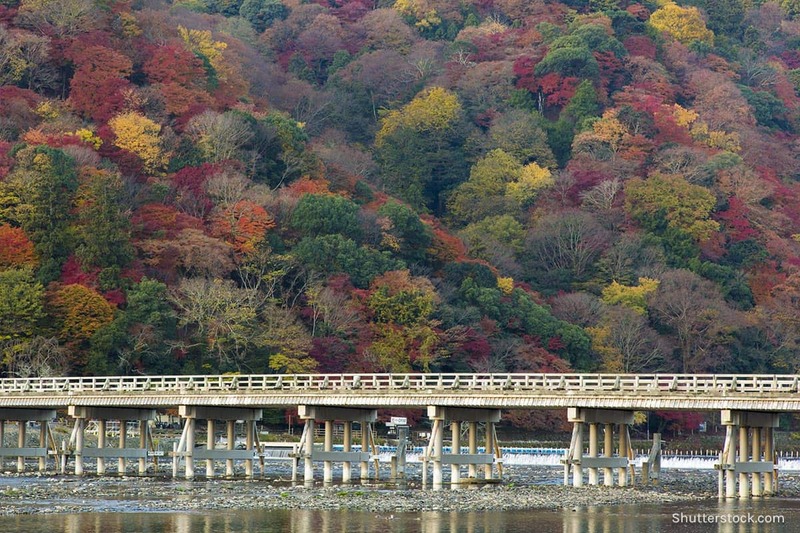 If you turn right, you’ll see the postcard-worthy Togetsukyo Bridge, straddling the Katsura River. It was built in 836 to provide better access to Horinji Temple. In spring, cherry blossoms adorn its banks. 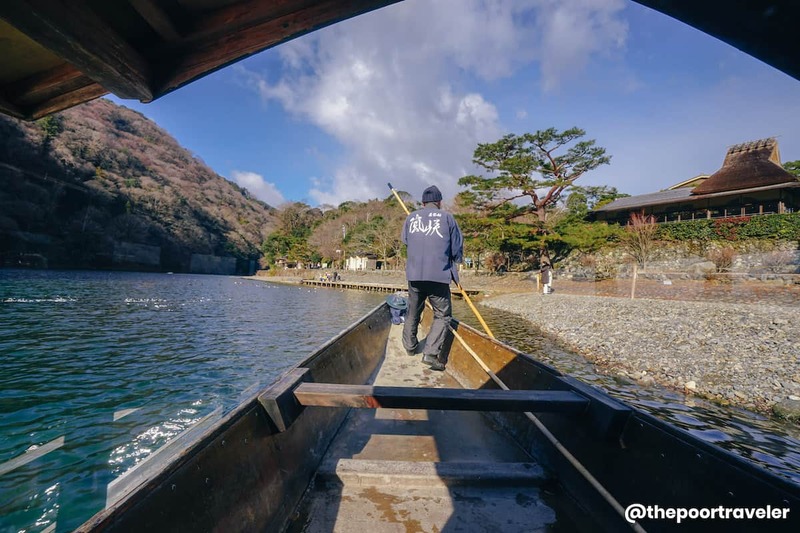 One of the most relaxing things you can do in Arashiyama is to take a quiet boat ride down Oi River. Prepare your eyes to be treated to awesome views of the river banks. If your timing is right, you’ll even see a paddling of ducks in the water! 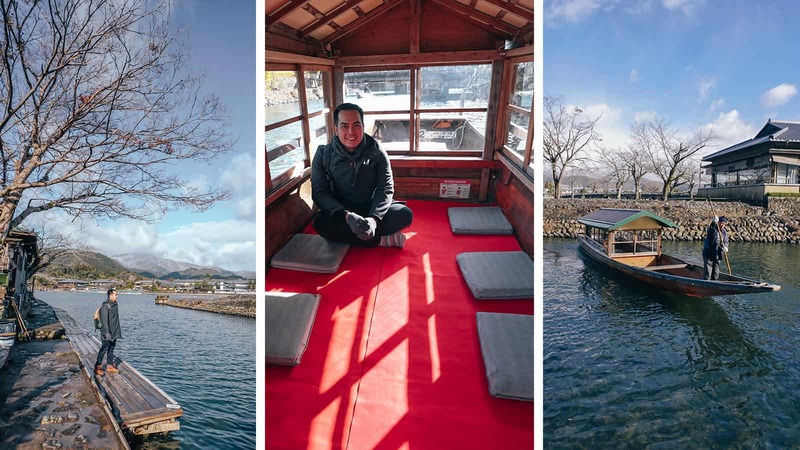 Boat rental costs ¥3500 for the first 2 persons and ¥1100 per additional passenger. 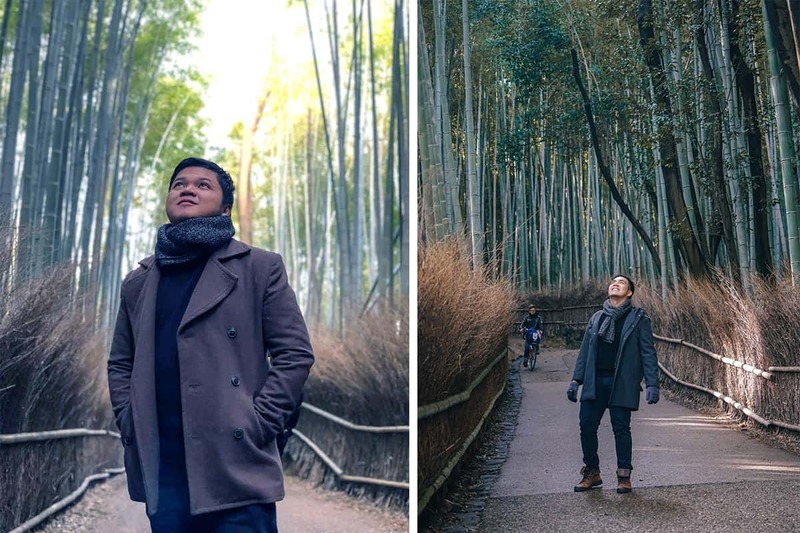 Probably the most visited and the most photographed spot in Arashiyama, this bamboo forest is a refreshing sight! A narrow alley cuts across the groves. Bikers breeze through and lovers amble sweetly under its thin canopy, enjoying a chlorophyll-colored dream. It can get pretty crowded, so if you want a nice photo, prepare to wait a little bit or just visit this as early as you can. Entrance Fee: FREE. LUNCH! 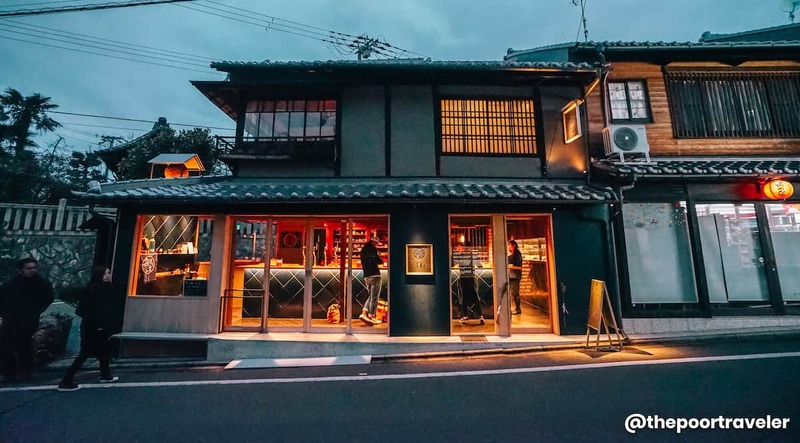 Located in the less crowded area of Arashiyama, Musubi Café is a wonderful place to hang and dine. It’s only a very short walk away from Hankyu Arashiyama Station, so drop by before you head to your next destination. 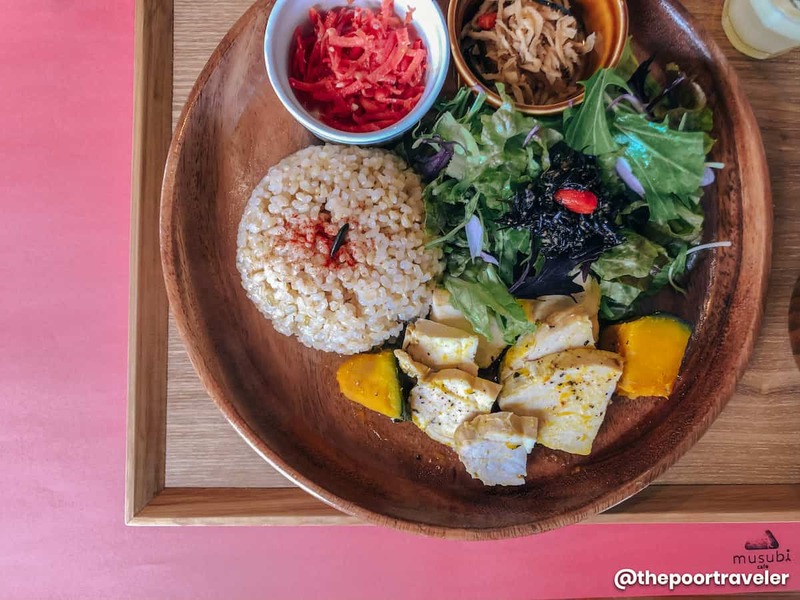 Musubi Café takes pride in serving well-composed lunch plates featuring organic ingredients. Salad is ubiquitous, but other favorites include pasta and taco. They also have vegetarian options available! Because we’re carnivores, we ordered the non-vegan set (¥1350), which has chicken as protein, salad, and a few tasty sides! Hours open: Daily, 8:30am to 8:00pm. Note however that these set meals are available in lunch and dinner times only. Outside these hours, the menu is limited to café items. After a hearty lunch at Musubi Café, head back to Hankyu Arashiyama Station and catch the train to Katsura Station. Transfer to Hankyu Kyoto Main Line and alight at Kawaramachi Station. Fare: ¥220 without the pass, FREE with the pass. Gion District is famous for two iconic forms of traditional Japanese entertainment — the kabuki and the geisha. They are what people from all over the world travel to Kyoto for. While they are very different from each other, their roots are intricately tangled. Today, Gion is a popular tourist spot where you can catch a kabuki show or spot a geisha or maiko on the way to work. You’ll also find several heritage sites including Yasaka Shrine, established over 1350 years ago. Its vermilion-colored gate is a striking structure at the very end of Shijo Street. 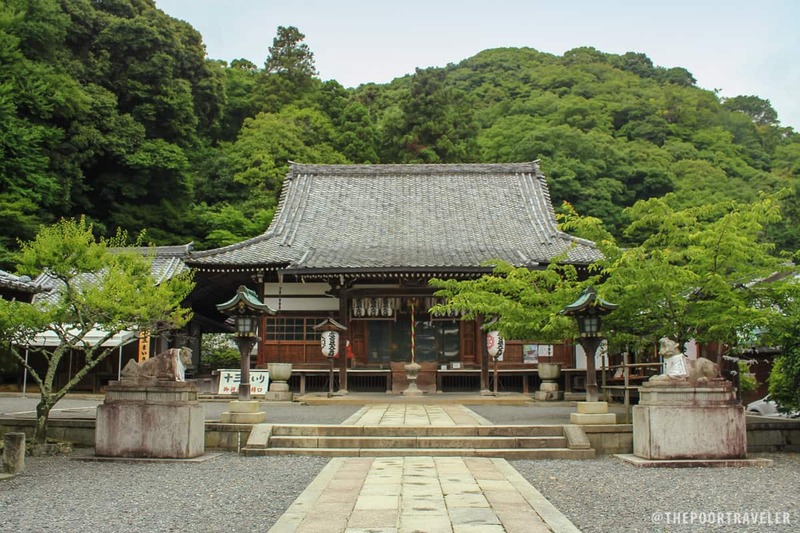 The main hall of the shrine features a honden (inner sanctuary) and a haiden (offering hall) in one building. Across it lies a dance hall adorned with countless lanterns with Japanese characters, the names of the donors. The shrine is most famous for the Gion Matsuri, a summer festival celebrated in July! 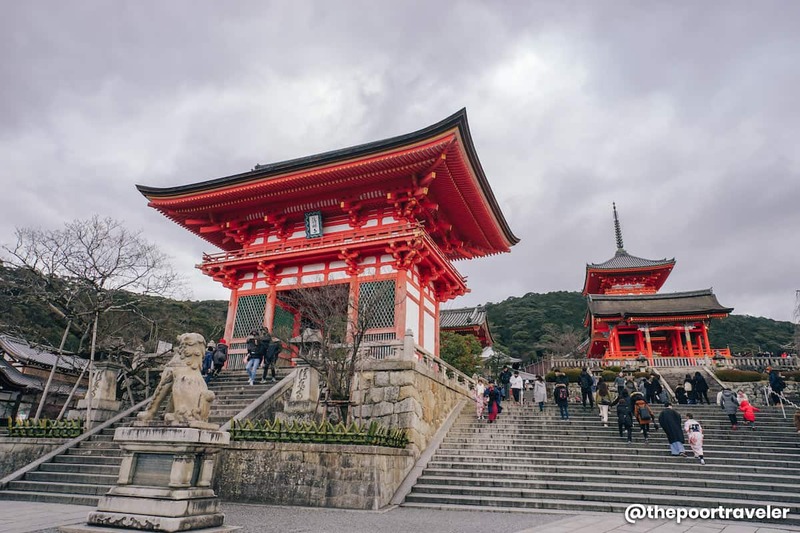 After exploring the shrine grounds, walk southward past Mimami-romon Tower Gate and just follow the adjacent road and you’ll reach the Higashiyama historic district, crowned by Kiyomizudera. Technically, Gion and Yasaka Shrine are part of Higashiyama, one of Kyoto’s eleven wards. But for tourism purposes, Higashiyama often refers to the area between Yasaka Shrine and Kiyomizudera. It’s an atmospheric district lined with narrow alleys that seem to warp you to Kyoto of yore. The merchant shops and traditional look foster an old Japan vibe that makes the stroll a delightful experience. At the end of the trail stands Kiyomizudera, a Buddhist temple which is part of the Historic Monuments of Ancient Kyoto, inscribed in the list of UNESCO World Heritage Sites. It houses a statue of Kannon with eleven faces. Kannon is goddess of mercy (Guanyin in other countries). 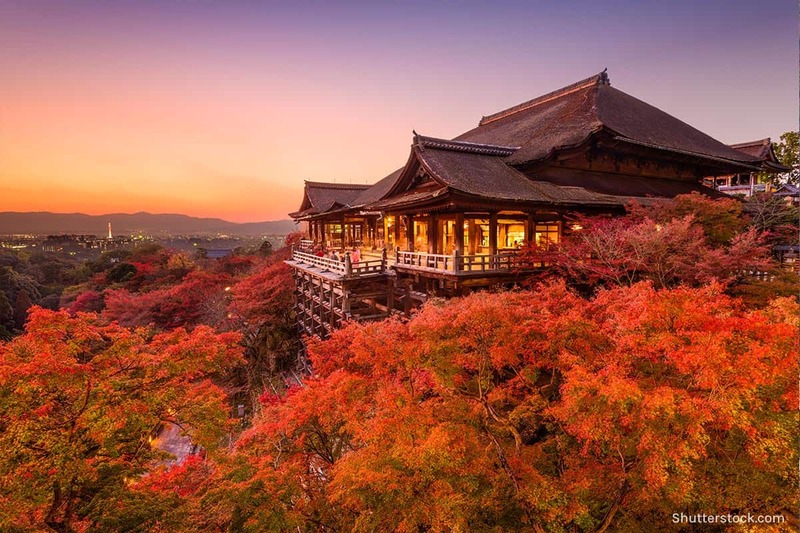 Kiyomizudera in autumn. Image purchased from Shutterstock. Instead of tracing your steps back, walk down Shimizu New Way Chawan-zaka street until you reach a major intersection. Just before the intersection stands Kikizake Dokoro 336, a cozy sake bar serving some of the best rice wines in Kyoto. Kyoto is also fames for its sake. Blessed with plenty of rice and clean water coming from underground springs, it has the right ingredients to make delicious sake. Many of these sake brands are showcased at Kikizake Dokoro 336. 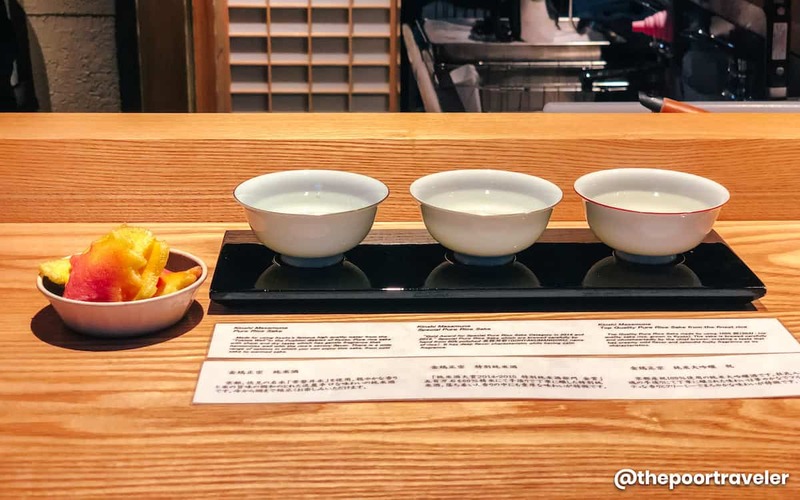 If you don’t know where to start, you can order the sake tasting set (¥1000), which will give you a taste of three different types of Kinshi Masamune sake: junmaishu, special junmaishu, and junmai-ginjo. 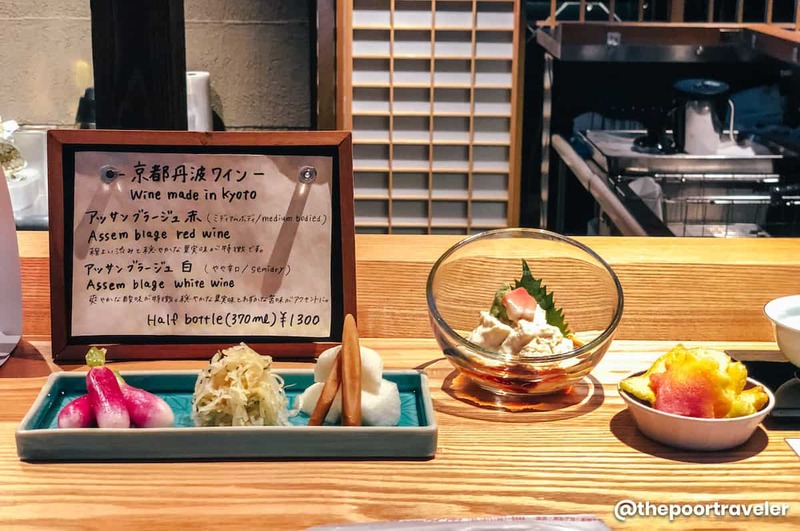 If sake is not your drink, they also offer locally produced beer and wine! After a healthy dose of sake, you can make your way back to Kawaramachi Station. It’s a long walk but quite scenic. Higashiyama District transforms at night, so even though you’ve seen in on your way to Kiyomizu-dera, I still recommend walking back and experience it when it’s dark. It has a different charm. It’s also a great way to work up an appetite in time for our next stop! When you reach Kawaramachi Station, instead of entering the station, walk past it and turn right until you find yourself in Teramachi-dori, one of Kyoto’s fames shopping arcades. Aside from the stores, this shopping street is also home to a number of restaurants including Butaya Ton Ichi, which specializes in pork. Butaya Ton Ichi caters to all types of diners. 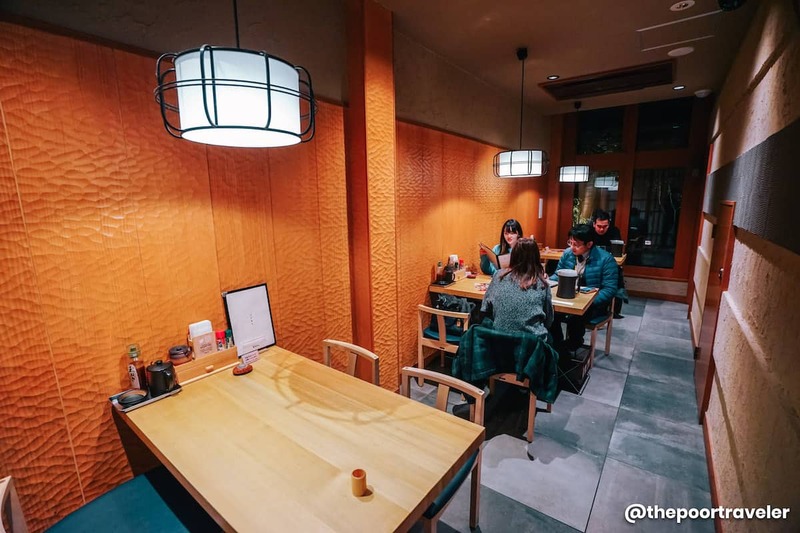 It has a bar or counter (Kaunta Seki), a tables-and-chairs setup (Teburu Seki), and traditional Japanese seating section (zashiki). At the bar, you can watch the cooks prepare your dish. The menu is dominated by pork cutlets (pork loin and tenderloin), but I was told that their specialty is the pork steak. Vins decided to order the loin and tenderloin combo (¥1090), while I had pork steak combo (¥990), so we could taste as much as we can. The pork steak meal is composed of a rice bowl topped with a generous serving of chopped steak and a raw egg yolk. I truly enjoyed this dish. It has a great combination of sweet and salty, complemented by the rich and smooth texture of the egg. The pork loin-tenderloin combo, on the other hand, has big portions. Both cuts were perfectly cooked: crispy on the outside and tender and juicy inside. After dinner, you can walk back to Kawaramachi Station and take the Hankyu Kyoto Main Line back to Osaka! Travel time: 44 to 63 minutes. 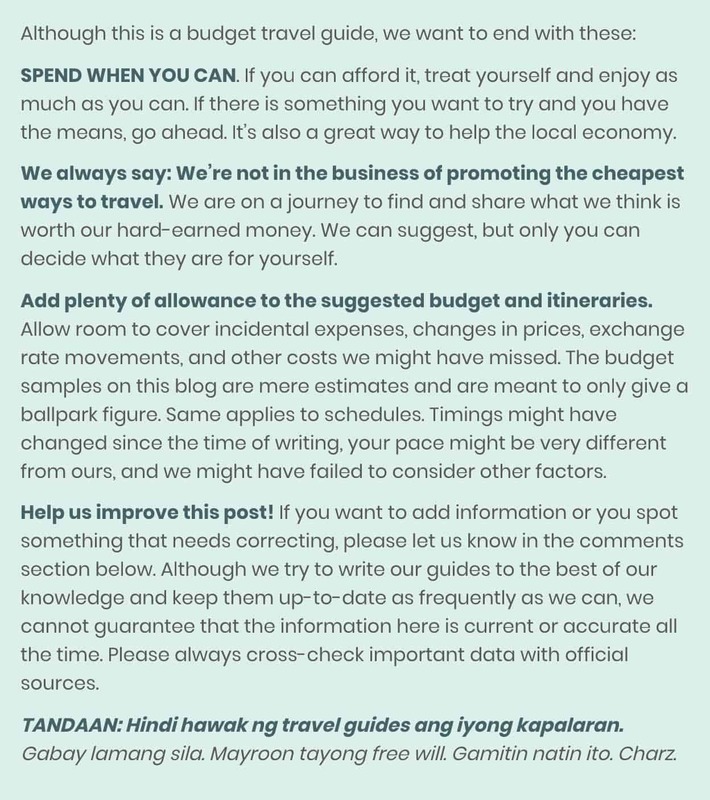 To summarize, here’s another look at the above itinerary, stripped down to only the most important details. Please note that this assumes you’re using a 1-Day Hankyu Tourist Pass! Transit: Take Hankyu Kyoto Main Line to Katsura Station (HK 81). Transfer to Hankyu Arashiyama Line to Hankyu Arashiyama Station (HK 98). FREE. Lunch: Musubi Café. Lunch set: ¥1350. Transit: Hankyu Arashiyama Station to Katsura Station, then transfer to Hankyu Kyoto Main Line to Kawaramachi Station (HK86). FREE. Explore: Gion District while on the way to Yasaka Shrine. FREE. 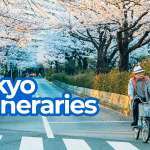 Explore: Higashiyama District and Kiyomizudera. Entrance Fee: ¥400. Drink: Kikizake Dokoro 336. 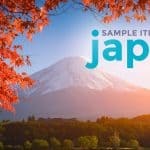 Order sake tasting set: ¥1000. Walk back to Kawaramachi Station. Transit: Take Hankyu Kyoto Main Line to Osaka. FREE. 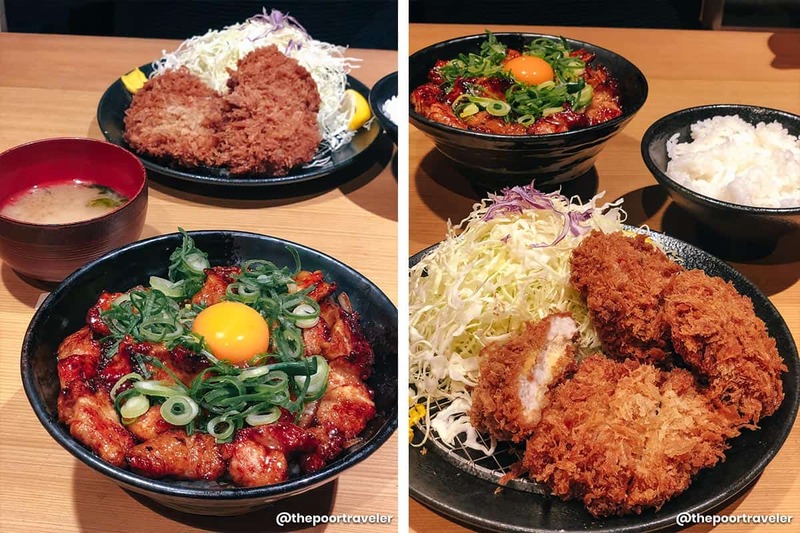 If you follow the itinerary above, prepare to shell out around ¥5500 (PHP2630, USD50, SGD68) per person, excluding airfare, accommodations, travel tax, and visa fees. As always, add a little bit of allowance to cover miscellaneous purchases (snacks, drink, etc.) and other expenses we might have overlooked. Notice that you didn’t spend ANYTHING on transportation. Everything was covered by the Hankyu Tourist Pass. 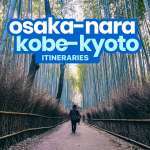 If you don’t have it, you’ll be spending a total of ¥1020 on transportation. If you have the pass, you’ll only shell out ¥700 (or ¥800 outside promo period). 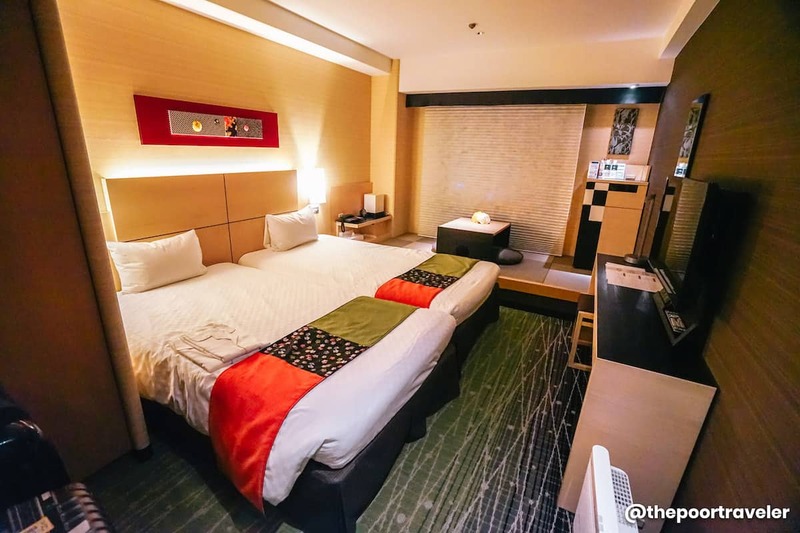 The above itinerary is for a day trip, but if you decide to stay in Kyoto for a night or two, consider Hotel new Hankyu Kyoto. Hotel new Hankyu Kyoto is an institution in Kyoto, a name that has been trusted by Japanese travelers and respected in the industry.  Opened in 1981, it has a long history but its rooms and facilities are constantly updated to keep up with the times. 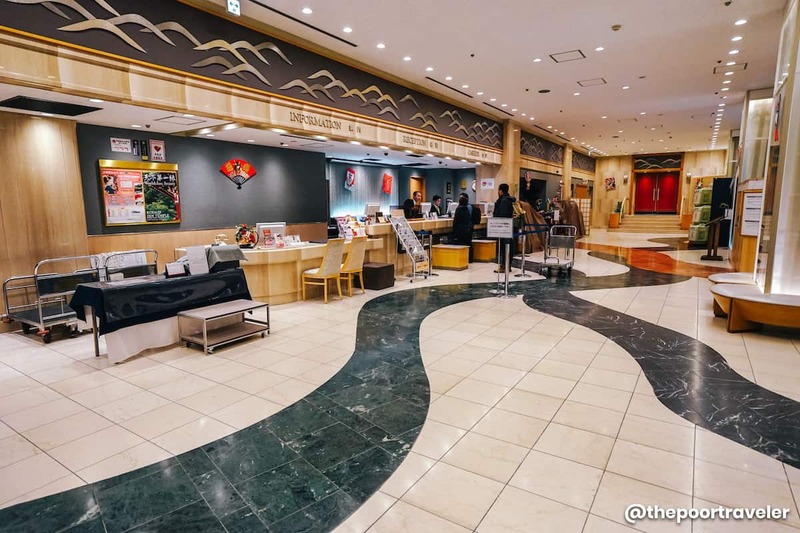 Although the lobby looks very classic Japanese, the rooms are modern and stylish. But the best thing about is its location, which is just across Kyoto Station. 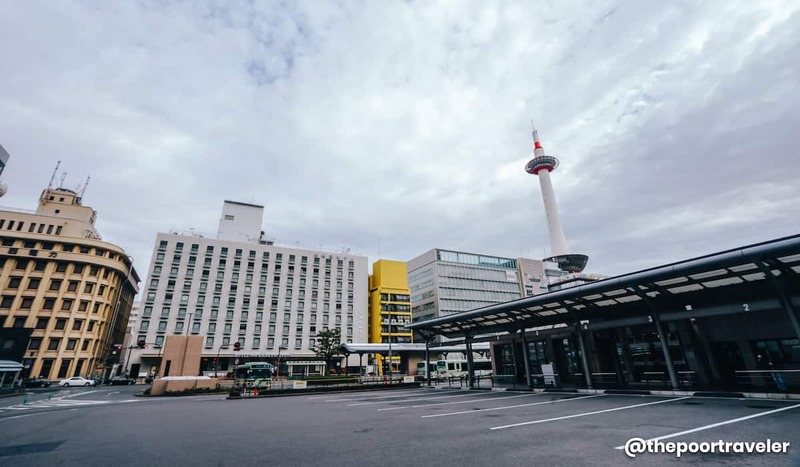 As you probably know, Kyoto Station is the heart of the city, and Kawaramachi Station, which is near tourist attractions and shopping spots, so staying anywhere near either of them can make your trip much easier. This post is presented to you by Hankyu Hanshin Holdings, Inc.